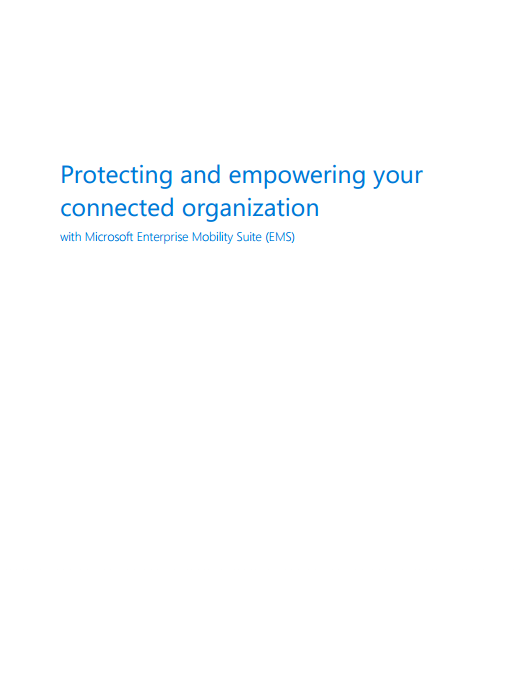 A new whitepaper describing Microsoft vision for security in the connected organization. As an IT leader—identity management, device management, and information protection are critical to what you do. Traditionally, all three have relied on software that ran inside your organization. This worked—because the identities, devices, and information were also largely inside your organization. Today, it’s a different world. Your workforce is taking their mobile devices everywhere, accessing both on-premises and Software as a Service (SaaS) applications. Now, your data protection must extend across Windows 10, iOS, and Android devices, whether in your conference room or at Starbucks. This is the cloud-centric, device-centric world your modern workforce expects.